On your next visit, stop by The Shop for gift ideas! Our museum store offers a hand-picked selection of gifts, books, and eye-catching objects by artists from Harlem and around New York City. Open during Museum hours. Pick up your own Sugar Hill Children's Museum branded t-shirt! Available in adult and children's sizes. 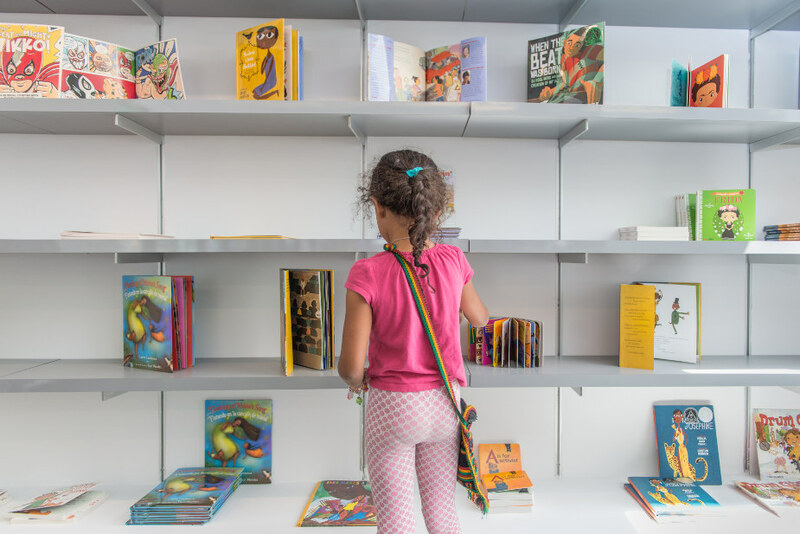 Explore our array of children's books inspired by Harlem, and beyond, and more! 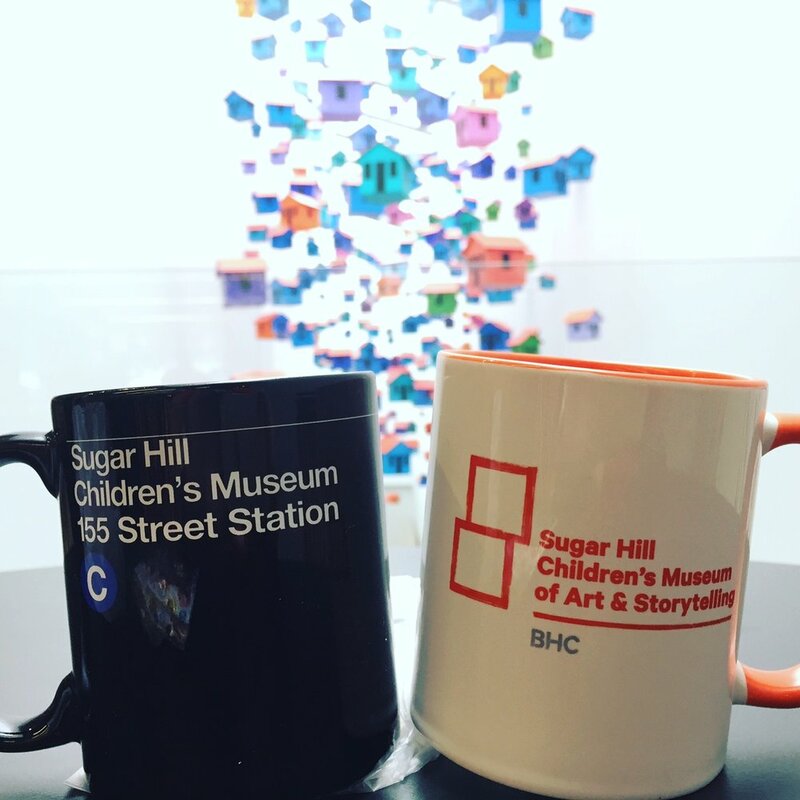 Pick up your very own Sugar Hill Children's Museum mug highlighting our local train station, 155th Street.